An Enjoyable First Time Experience! The American Academy of Pediatric Dentistry (AAPD), The American Dental Association (ADA), and the American Academy of Pediatrics (AAP) all recommend establishing a dental home for your child by one year of age. Children with an established dental home are more likely to receive individualized comprehensive and preventive dental and oral health care. 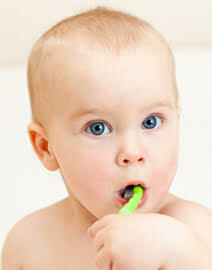 This includes, but is not limited to: assessment for oral disease, anticipatory guidance based on the patient’s growth and development, education and dietary counseling, preventive care based on the patient’s caries-risk assessment, and planning for the unexpected, such as dental trauma. At Park Smiles NYC Pediatrics, our doctors strive to make your child’s visit to the dentist enjoyable and positive, their well-being is always our first priority! Children and their parents should know what to expect when they arrive at Park Smiles NYC Pediatrics. First, you will first be greeted at the front desk by a member of our administrative staff, who will provide you with paperwork that needs to be completed. This paperwork will later be reviewed by your dentist to determine whether the child has any allergies or medical conditions that could affect how dental treatment is delivered. Next, you will be met and escorted by a staff member to one of our state of the art treatment rooms, where you will meet your pediatric dentist.